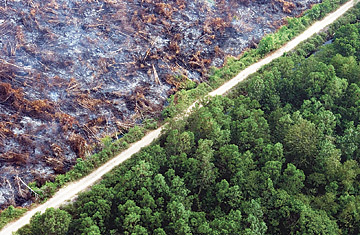 Deforestration is responsible for about 20% of global carbon emissions, more than from all the cars, boats and planes in the world. Despite the high emissions rate, the Kyoto Protocol gives tropical countries no incentives for protecting their forests, a process called "avoided deforestation". 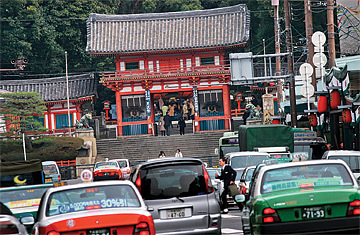 After reading your article about Kyoto, I really had a mixed feeling of proudness and shame as one of the Japanese in the land of the world second largest economy equipped with the most energy-efficient and eco-friendly technologies, but at the same time barely attained the target of slashing the Carbon output stipulated by Kyoto Protocol in 1997. What is at stake now to save the planet from the global warming is to realize the harsh realities and to stand up by yourself to act, never to depend on the government, the green-conscious corporations. In that sense, we should not forget that Kyoto gives us a lot of historical wisdom to harmonize with the Mother nature such as shrines and temples abound in green. It was a reminder that while Kyoto embodies the aspirations of that famous protocol, it is still a modern city, with all the energy, cars and carbon that implies.